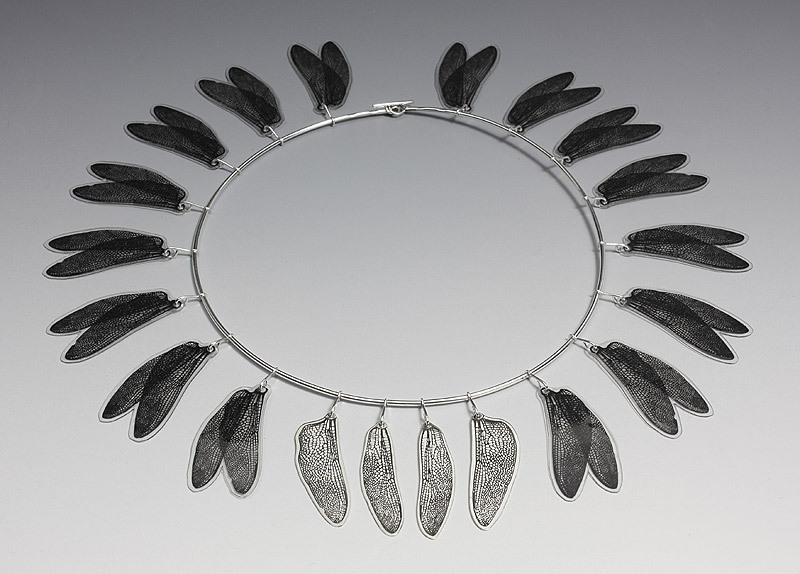 Andrew Goss and Sandra Noble Goss have been working together as artist-jewellers and metalsmiths in Canada since 1973, when we graduated from George Brown College's Jewellery Arts program in Toronto. 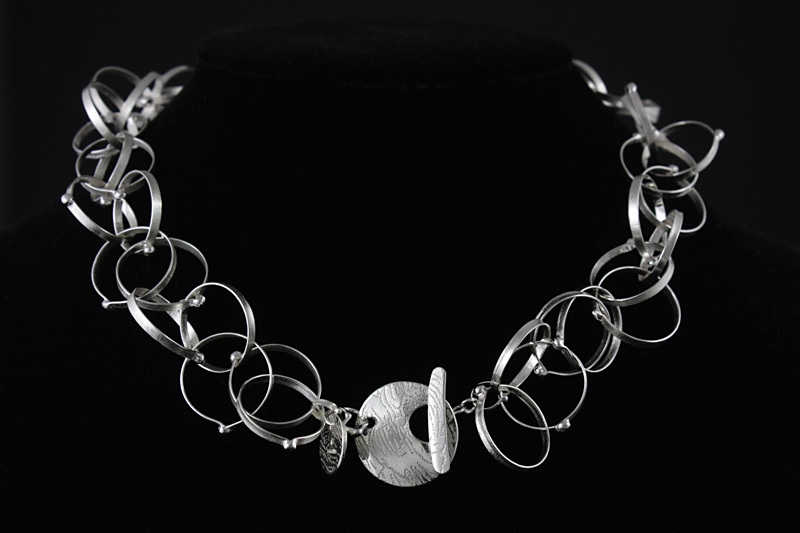 We also studied jewelry at Hornsey College of Art in London, England. We moved to the Owen Sound region - northwest of Toronto - in 1976 - and then to Guelph in 2015. We share a studio and work in similar materials, but design and work on our own separate pieces of jewellery and other art objects. Materials include: sterling silver, brass, copper, bronze, copper nitrate patina, 24k gold leaf and more unusual materials such as concrete and cellulose acetate. Our jewellery is made with traditional techniques such as sawing, filing, forging, fusing, etching, soldering and casting, along with more experimental techniques such as roller-printing, fold-forming, and multi-metal laminations. More details about our individual styles are on our own pages for Andrew or Sandra. Our work is sold across Canada including Montreal, Ottawa, Toronto, Winnipeg, Calgary and Vancouver and has been shown in Canadian collections in London, Paris, South Korea and Germany. We are recipients of several Ontario Arts Council Awards, as well as awards from the Metal Arts Guild and the Canada Council for the Arts.